Effective SEO Omaha Services demand labor-intensive work from an internet marketing specialist who uses a variety of techniques to optimize your online corporate identity, regularly. It takes Google anywhere from 3 weeks to 4 months for site indexing, and then maybe another couple of months for the site to earn a search result place. The search engine ranking challenge takes regular work. Stern PR – can get your organization up high using website content writing, tags, link building and social media. If an Omaha SEO Company promises you 1st page Google ranking, run. Position depends on third party algorithms, of which no Omaha SEO firm has control. There are no guarantees of SEO effectiveness. That said, it’s important to have a reliable search engine optimization company that has a proven track record, like Stern PR™. Keywords rightfully named Keywords are the basic and most fundamental aspect of SEO, when used and optimized correctly. Stern PR™ will ensure that keywords are a part of all content, titles, meta keywords, descriptions headings, and content: social media, website pages & blog post. Writing for both aesthetics & SEO – few can do. Websites need constant updates and improvements. New blog posts, product descriptions, rewriting and editing copy and fixing broken links are all changes that will call search engine spiders back to your site. Updating also ensures you are using still using the correct keywords to reach your target market and that your content is informative, interesting, and business promoting. Run your business. We’ll do the rest. 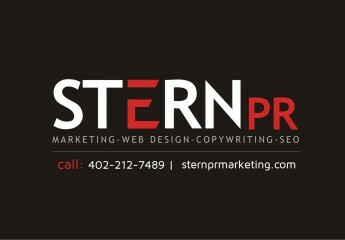 Check out Monthly SEO/Social Media packages, contact Stern PR™ now.